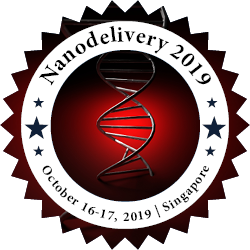 Nanomedicines have been in the forefront of pharmaceutical research in the last decades, creating new challenges for research community, industry, and regulators. There is a strong demand for the fast development of scientific and technological tools to address unmet medical needs, thus improving human health care and life quality. Tremendous advances in the biomaterials and nanotechnology fields have prompted their use as promising tools to overcome important drawbacks, mostly associated to the non-specific effects of conventional therapeutic approaches. However, the wide range of application of nanomedicines demands a profound knowledge and characterization of these complex products. Their properties need to be extensively understood to avoid unpredicted effects on patients, such as potential immune reactivity. Research policy and alliances have been bringing together scientists, regulators, industry, and, more frequently in recent years, patient representatives and patient advocacy institutions. In order to successfully enhance the development of new technologies, improved strategies for research-based corporate organizations, more integrated research tools dealing with appropriate translational requirements aiming at clinical development, and proactive regulatory policies are essential in the near future. This review focuses on the most important aspects currently recognized as key factors for the regulation of nanomedicines, discussing the efforts under development by industry and regulatory agencies to promote their translation into the market.